Season 12 of The Voice will come to a close tonight (May 23) as Jesse Larson (Team Adam), Chris Blue (Team Alicia), Lauren Duski (Team Blake) or Aliyah Moulden (Team Blake) is crowned champion. Last night (May 22) during part one of the season finale, Blake performed duets with both of his team members. Blake teamed with Lauren for a cover of “There’s a Tear in My Beer,” a song Hank Williams wrote and recorded in the 1950s. Hank Williams Jr. released his version of the song in 1988, featuring vocals from his father. The Hank Sr./Jr. collaboration won a Grammy in 1990. 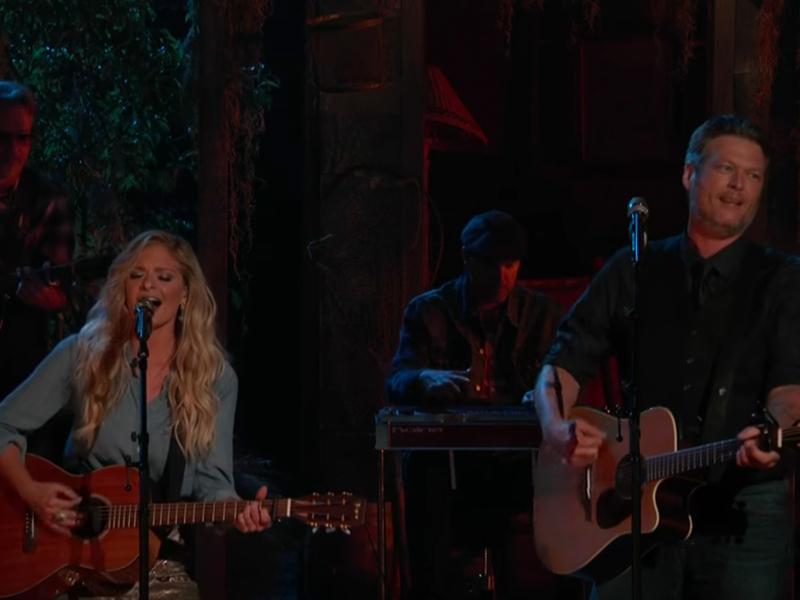 Watch Blake and Lauren perform the duet below. Blake also joined forces with Aliyah for a performance of “Dancing in the Street,” a song co-written by Marvin Gaye that Martha and the Vandellas had a hit with in 1964. Van Halen recorded the song in 1982 and it reached No. 38 on the Billboard chart, while a duet between David Bowie and Mick Jagger in 1985 reached No. 7 on the Billboard chart. Watch Blake and Aliyah’s performance below.